She's got big eyes of ba-by blue, Makes my gun shoot straight and true. Roll my breeches to my knees, I'll wade ole Cripple Creek when I please. Roads are rocky and the hillside's muddy, And I'm so drunk that I can't stand steady. 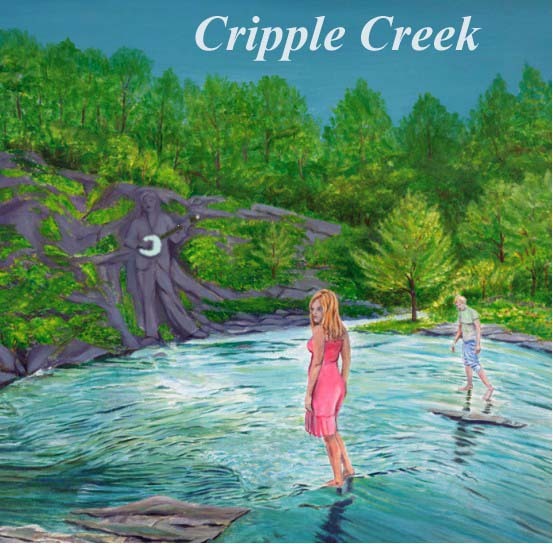 Go -in' up crip -ple creek go -in' on the run, Go -in' up crip -ple creek to have some fun.